Mama Love: Easter (or Spring) Outfits for Less with Thredup Review and Giveaway! Easter (or Spring) Outfits for Less with Thredup Review and Giveaway! I was recently given the opportunity to Do another review for Thredup (my first review telling all about the site can be found HERE) this time showing how easy it is to save some $$$$ while still finding wonderful outfits for special occasions or just anytime, using Thredup! I had a mission to find a COMPLETE Head to toe outfit for Easter for My oldest daughter all for only $20, impossible you might be thinking, shoes alone usually cost that much or more, well welcome to a whole new world of shopping with THREDUP! 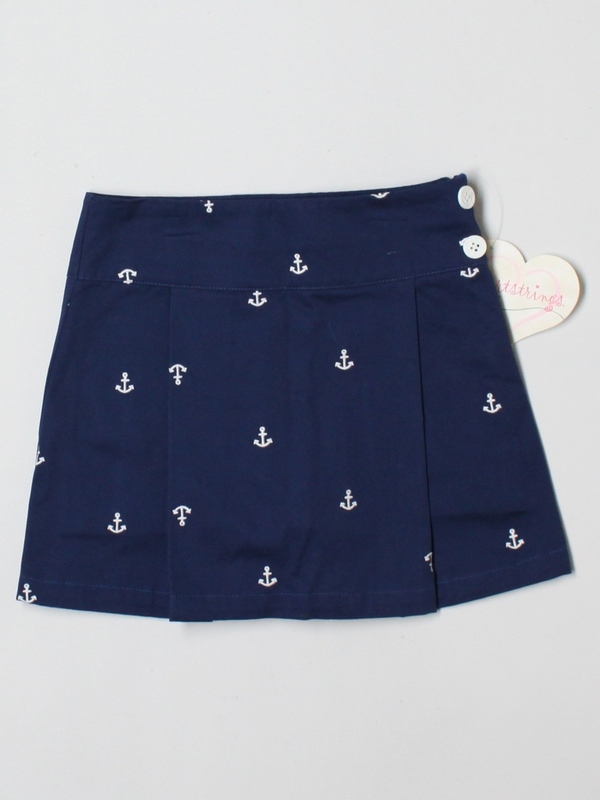 I'm one who likes Matching, now maybe not totally the same but we go with different "themes" or color schemes when planning for "matching" looks, and for Easter I'm planning a Nautical theme not off the wall crazy nautical look but classic timeless look that can be used for more than one occasion! My youngest daughter has a Sailor type dress that is Navy and White, it was mine when I was younger then my oldest daughter wore it and now it's our little's turn to wear it, so I knew that I wanted to match it, and was slightly worried that I might not find exactly what I was looking for, but boy was I wrong within 5 mins of browsing Thredup's Site I found the perfect Skirt for My oldest daughter to Wear, it's a Hartstrings (New With Tags) Navy skort with darling white anchors embroidered on it, perfect for our Nautical theme! Look how Darling this Skort is!!! Now All I had to do was find a Shirt and Shoes to match, and stay under my $20 Budget!!! 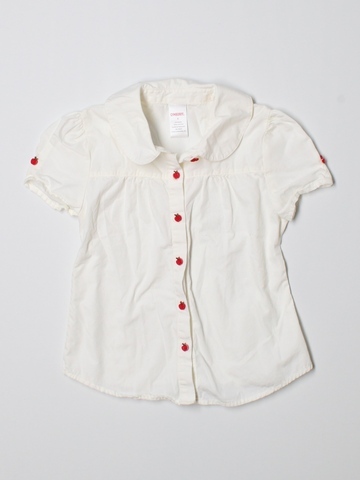 Look how Cute those red Buttons are and this is simple enough to work with the skirt, the red button bring in that special pop of color to add to our Nautical "theme" and this shirt can be used for many many more occasions! 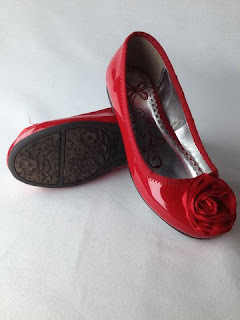 These Shoes are perfect and bring out That Pop of Color in the Buttons of the Shirt! How About That for Budget Friendly GREAT BRANDS Shopping, I Got Skort, Shirt, and Shoes for Under $20 and My daughters are going to look lovely for Easter! If I was Shopping Anywhere OTHER than Thredup I would've never been able to get an complete outfit for $20! DO you want $20 to Spend at Thredup? Thredup has kindly offered one of you lucky readers the Chance to win a $20 credit to Shop at Thredup and see what kind of awesome deals you can find! Oh and if you don't already have an account with Thredup follow this Link HERE and receive an automatic $10 credit off your 1st order!!! Follow the Rafflecopter form below for your chance to win!! http://www.thredup.com/shop/kids/boys/Short_Sleeve/Kidgets/4T/620759 - Love these colors. This shirt would go well with a pair of khaki pants or shorts. Can I post your put up to my wordpress weblog? I'll add a one-way link to your forum. That’s one actually great post.